Not many photographers realize that they are able to take stunning night photos with standard camera gear. “Is that even real?” is a well-intentioned skeptic’s question, that I field multiple times a day, when they’re first introduced to my work. In fact, a lot of times I come across my work posted on blogs and photo-sharing social media sites with hundreds of skeptical comments. So is it possible to get these shots without severe photo-manipulation and blending in stock imagery of outer space? To answer as succinctly as I can, absolutely! 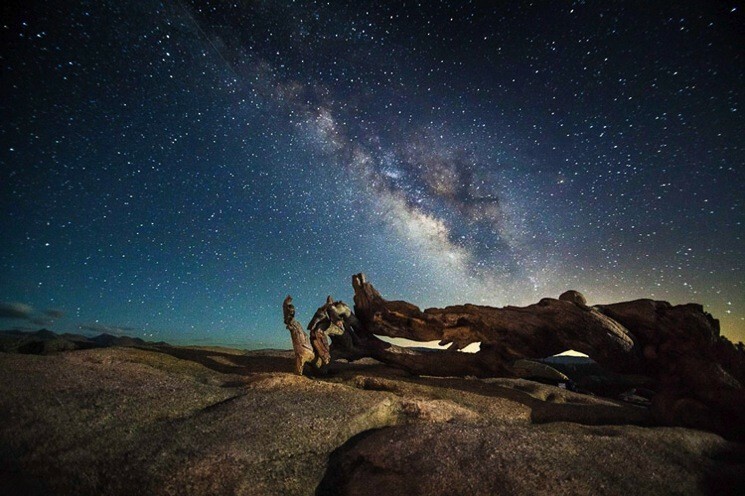 Taking shock-and-awe-worthy photos of the night sky with your normal DSLR – is a lot easier than you think it is. Let’s start with your camera gear. Are you shooting with a cropped sensor or full-frame camera? This is an important distinction that you’ll have to make before you keep reading. You’ll need an ultra-wide lens with a wide aperture too. Ideally, at least 16mm and f/2.8 for full frame cameras or 11mm and f/2.8 for cropped sensor (APS-C). The Rokinon 14mm f/2.8 lens is an inexpensive ($299 for Canon to $399 for Nikon) and fantastic manual focus, ultra-wide lens, for both full frame and cropped sensors. Are you ready with your camera body and ultra-wide lens? Great. Pick up a stable tripod and you’re ready to go. Do you need the most expensive rig in the world? Definitely not. I shot some of the best images in my portfolio on a little plastic, $30 tripod. I also missed a lot of great shots in that time period due a combination of wind and an unstable tripod. However, using a sturdy tripod and very stable ball head will make your life infinitely less frustrating and you’ll cease to miss shots due to wind, or water induced vibration and movement. Now you’re all set. You have a camera, tripod, and a fast wide-angle lens. You could add more gear to your rig, but you’re new to this, so we’re keeping it simple. You'll also need to bring a flashlight and a laser pointer (green if you can find one, it goes farther). Next, decide when and where to go shooting, and where to shoot when you’re out there. Let's cover that now. You need to find a place with low light pollution using the handy Dark Sky Finder. Plan to shoot on a new moon when all the conditions are good. Use cleardarksky.com to determine when that will be at a location you’ve previously selected. As soon as the conditions line up, toss your rig in the car and drive out of town. An hour passes and you're approaching the spot where you plan to shoot. Maybe it’s a lone tree, some rocks, a mountain, or another interesting compositional element. 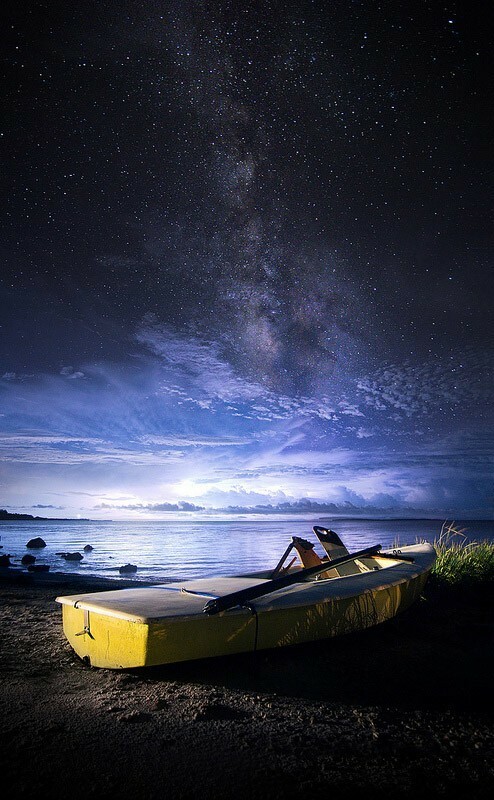 Using your flashlight or a red headlamp, set up your gear and look south. 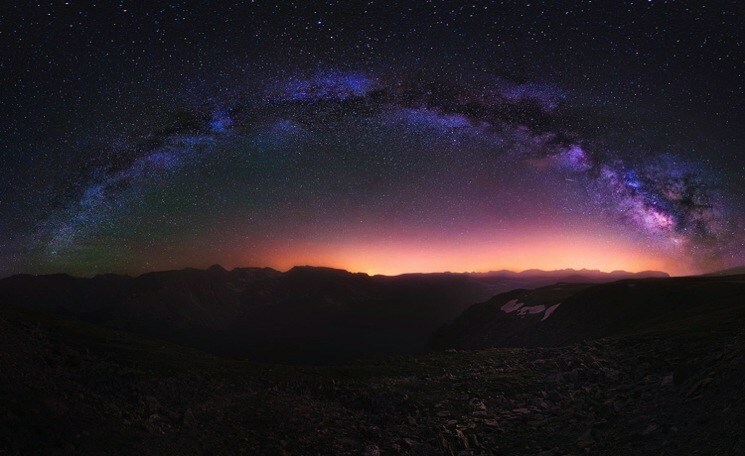 Can you see the Milky Way with your bare eyes? It will look like a whitish cloud streaking across the sky? If not, use a constellation-finding app and aim for Sagittarius. That's it! Set your camera to Manual mode and your lens to MF (manual focus) mode. We’re going full manual. Are there any lights, bright stars or planets in the distance, anywhere? If so, then you can use your camera’s LiveView to focus on that distant light. This could be a city light, boat, or tower. 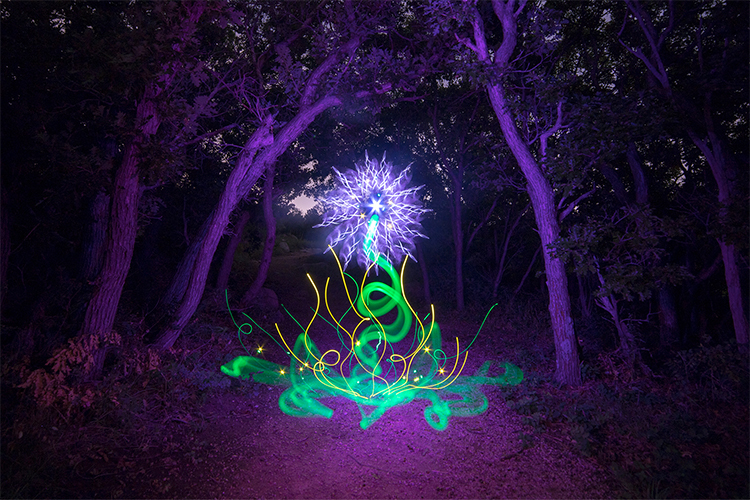 Take out your handy laser pointer and shine it on something far away. Now you’ll have to set up your camera to capture the stars. Your focus is locked in, and it’s time to get your settings right. You’ll want to your sensor to “take in” all the available light. ISO – set it high. Really high. Anywhere from 1600 – 6400, depending on what you’re comfortable with for your camera. Start with 1600 and go up. Experiment to find what works best. Focal length – zoom the lens wide! As wide as it goes. Ideally, 24mm or more on a full frame camera. f/stop – open the aperture wide! As wide as it goes. Is it f/2.8, or maybe even f/1.4? You might want to consider renting a lens if your maximum aperture is f3.5 or greater. Put your camera in mirror lockup and long exposure noise reduction if you know how. If you don’t, don’t worry about it for now, Look it up before you go shooting again. That’s all there is to it! 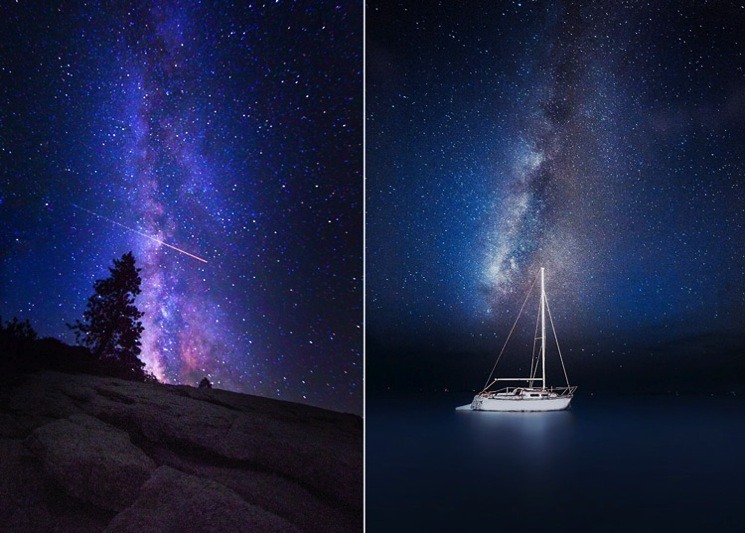 By following my instructions precisely, I GUARANTEE that you’ll get an amazing Milky Way photo of your own. So grab some warm clothes, your gear, and a couple friends and give it a shot!! 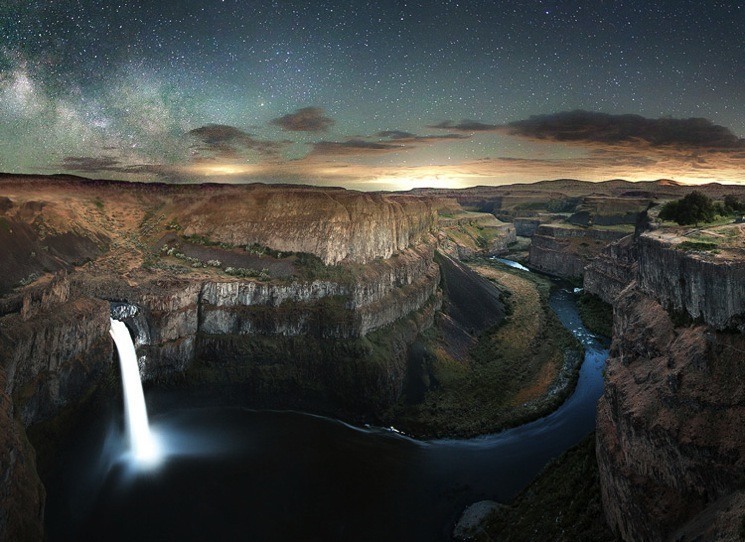 Jesse Summers is a landscape photographer who leads night photography workshops in Florida and California. To see more of his work or to get in touch with him, please visit his website or connect with him on his Facebook page. 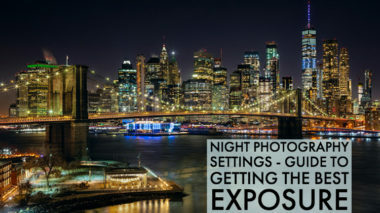 And also, visit our long exposure photography tips and tutorials section for more.